← Ekaterina Ballerina-What Is She Up To Now? Amazing isn’t it? There are pointe shoes being made in South Korea. When I think how far away that sounds from the good old U.S.A, I get a chill or two. Mituri is located in Jongno, Seoul Korea, a large metropolitan area on the western side of South Korea. Take a look at this amazing city from the vantage point of The Jongno Tower in Seoul. This is a vibrant, cultural city and the chances are extremely good that there are many more pointe shoe manufacturers here that we haven’t learned about yet. What have I been able to find out about the history and background of the Mituri Company? Not too much. As a matter of fact, I poured over their website looking for a company profile, but couldn’t find anything but a location. However, Mituri seems to offer excellent customer service to their online shoppers and sells a nice variety of trendy dance wear apparel like leotards, slippers, legwarmers and other beautiful dance clothing for both male and female dancers. 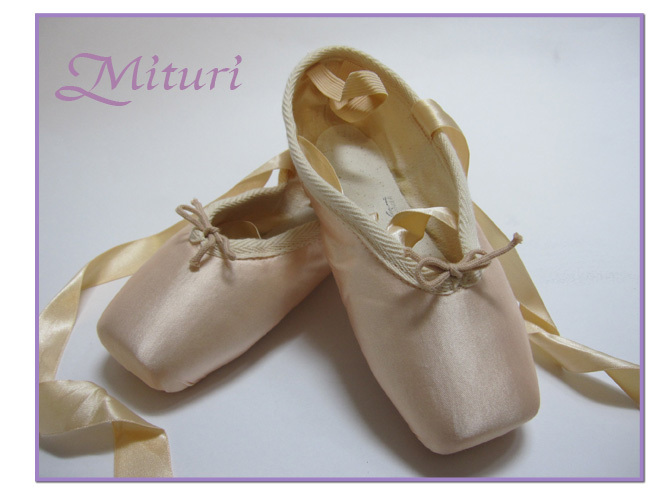 From what I can translate, Mituri has two models of pointe shoes. One is advertised as a practice pointe shoe. The other pointe model is for stage. Both come in normal or wider versions. One of the most interesting features about these models is the sole. If you click on the photo, you will see that Mituri stamps them with an image of a foot wearing a pointe shoe. I find that very, very interesting and unique. Coming from so far away, the Mituri pointe shoe is surprisingly affordable for American customers. I found them on an online global marketplace for only $23.41 or they can be ordered directly through the official website; Mituri.com. Many thanks to the reader, Monicaca, who provided me with the link to this company and directions on navigating the Mituri website. The pointe shoes can be located by clicking on the shop tab, choosing the 5th bar down and going to the 2nd page. This entry was posted in Korean Brands and tagged Mituri pointe shoes, pointe shoes made in South Korea, South Korean pointe shoe brands. Bookmark the permalink. Thank you, Lily 🙂 Pointe shoes are very exciting; especially that first pair! They don’t look like the usual east Asian pointe shoes! They seem quite a bit blockier, with a much less tapered platform than the Ballerina pointe shoes, for example. I currently live in Korea and am learning ballet. Mituri does not produce pointe shoes anymore. The maker had stopped making them at least a decade ago. He wanted to develop and improve the quality, so he went to Russia in order to learn the skills and know-hows. The pointe shoes were extremely soft, as far as I heard. I just found out your blog, and I am enjoying reading your posts. Thank you for the all the hard work. Your blog is beautiful! This is very interesting news. 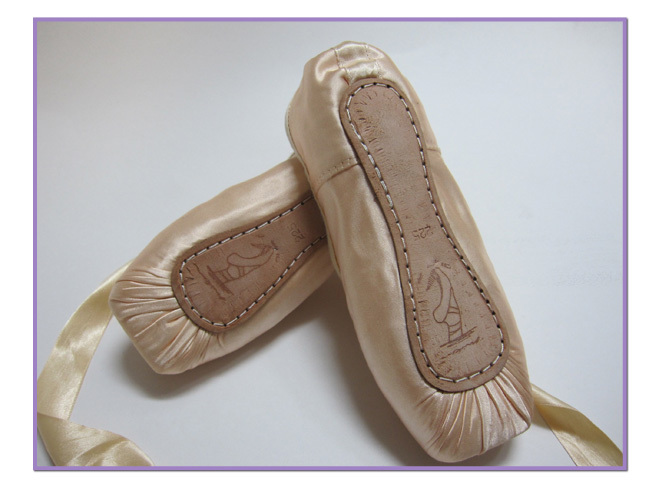 I just checked the Mituri website and see that the pointe shoe models are still shown under the products tab. I am baffled that a company would show pointe shoes that they stopped making at least a decade ago. Very intriguing, to say the least!